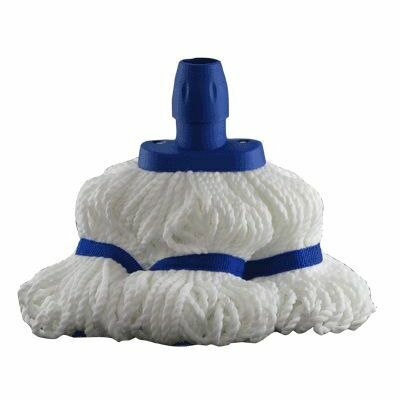 Can you tell me what weight in grams these mops are and can they be washed? 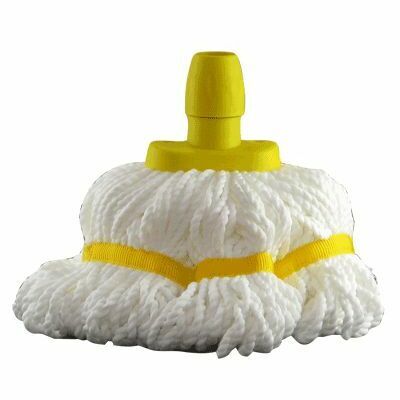 Each mop head weighs approximately 200g. Yes, they are machine washable. How many times can these be washed and what temperature is best? I would recommend washing this on a standard machine wash, you should get multiple washes out of this product. 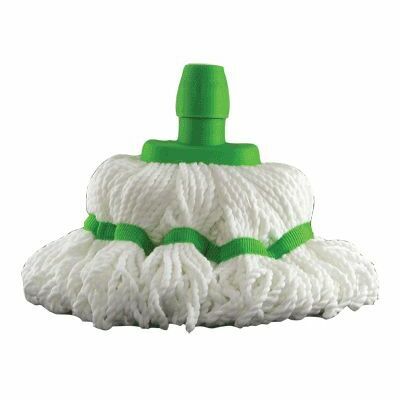 Offering the most economical cleaning resource for your business, our Microfibre Socket Mop Head comes in a range of colours to suit your needs. Ideal for hygiene colour coding regimes, these popular heads make use of super absorbent micro-fibre material in their design. Proven to absorb more water compared to traditional cotton, this antibacterial material traps all dirt and dust particles with ease and promises not to release them until re-submerged in water. When used wet, they are strong enough to remove everything from scuff marks, sticky messes and stains. When connected to the corresponding handles, they are suitable for use to polish and clean ceilings, air vents and ceiling fans among other raised items. The mop heads are easy to replace. Simply screw the socket off the top of the mop head and place onto the mop handle. Then push the mop head onto the mop handle and screw the socket back onto the mop head. 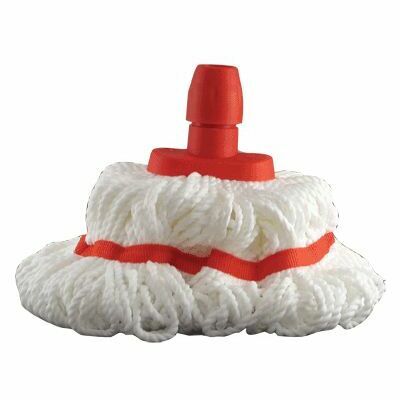 These mop heads are suitable for use with our Telescopic Mop Handles and Mop Buckets. While you're here, why not consider adding our Gompels Lemon Floor Gel or the Flash Professional Delicate Surfaces cleaner to your basket as well?